It happened on accident: primitive milk storage created yogurt. Yogurt contains high amounts of lactic acid which is good for your skin! 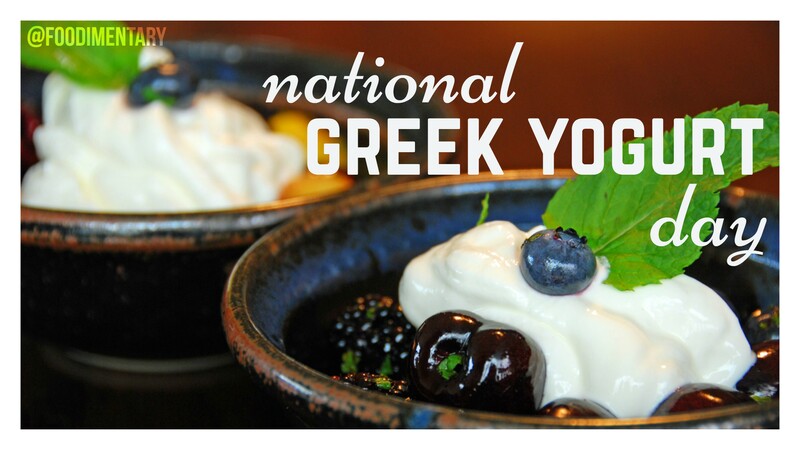 It’s gaining in popularity: more than a third of the yogurt carried by grocery stores is greek yogurt. Yogurt contains “good bacteria” which promotes healthy digestion and supports your immune system! 1801 Gail Borden born. Inventor of process for making condensed milk, and founder of New York Condensed Milk Co. (later renamed Borden Co). 1891 George A. Hormel opened his packinghouse in Austin, Minnesota. 1911 George Claude applied for a patent for an electric neon sign. It was issued on January 19, 1915. 1938 Edward Murray East died. An American botanist and chemist he helped with the development of hybrid corn. Specifically, he concentrated on controlling the protein and fat content of possible hybrids. 1948‘More Beer’ is recorded by the Ames Brothers. 1963 The enigmatic ‘Louie Louie’ was released by the Kingsmen. 1965 At 5:15 p.m. a 13 hour blackout of the northeastern U.S. and parts of Canada began when the electric grid failed.